Losing weight can be simple: it only depends on how much energy you take in and how much you use up. A calorie deficit is what leads to weight loss. You can achieve this by either eating less to take in fewer calories or by exercising to burning up more calories. This process is best effectuated gradually, as not enough eating will weaken your muscles. We recommend you making diet and exercise plans, setting weight-loss goals and recording your progress for better success. Follow these rules and how to lose weight is not a problem at all. The first method on how to lose weight is to limit the calories you take in, so if you prefer greasy diet and eat many junk foods, them it is time to make some diet change. Fruits and vegetables: No distinctive here, all fruits, leafy salads and green vegetables will help. Fruits and vegetables are an essential part to a healthy and balanced diet. Not only they provide us with necessary nutrients and vitamins, but their high water and fiber content makes them difficult to overeat. You will be saturated long before reaching your calorie limit. Beans: Black beans, lentils, peas, all are suitable. You can always add them to salads or soups! Whole grains: From high-fiber cereal to brown rice, whole grains are fundamental. Not only how many calories you take in determines your weight gain, when you have meals does as well. It is better to enjoy a large and healthy breakfast and then reduce the amount you eat per meal. 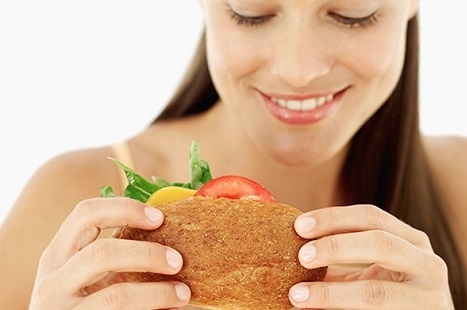 You will feel less hungry along the day and have time to burn those calories off. You should never skip meals because your body may absorb more calories or break down your muscle to ease the starvation when you are hungry. 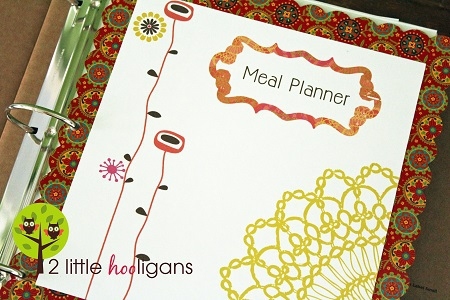 Try eating your last meal earlier and fast until breakfast of the next day. Fill your shopping list with healthy and fat-free foods, have light dishes and avoid eating too much snacks. The most important and hardest part is to stick to it. If you share a place with non-dieters make sure all the tempting foods are kept out of sight. Restaurant and packaged food tend to contain more fat. Cooking your own meals at home offers the advantages of knowing what you are eating and calculating how many calories you have taken in. Studies indicate that people drinking larger quantities of water generally weight less. It is not groundless that we call water the liquid gold. Water is calorie-free, hydrates you and fills your stomach. The Adequate Intake (AI) for men is considered to be 3 liters a day, while for women is around 2.2. When it comes to exercising, what is it you enjoy most? Maybe walking? Cycling? Running? Or swimming? These are all great initiatives for weight losing, making you feel good and improving your overall health. Besides these well-known ways, here are a series of alternative exercises that can also help us losing weight. 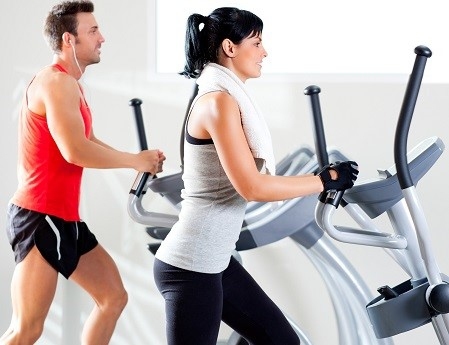 Elliptical trainer is the name given to all machines used to simulate stair climbing, running, cycling and the like. Whether at the gym or at home, these machines enable us to get a full-body anaerobic workout and to burn calories efficiently like up to 600 calories in an hour. They also allow us to choose our preferred level of intensity and make adjustments (such as ramp inclination) to focus our workout on specific group of muscles on the legs, front and back. These machines also reduce the impact on our joints, especially our knees, preventing them from wear. Step aerobics is a low-impact workout with great fat burning results. A single 45-minute workout can burn up to 550 calories, improving our movement coordination. It focuses particularly on leg, hip and bum muscles. 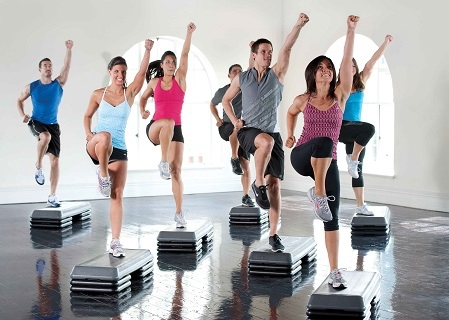 A small elevated platform (the step) is required for this workout, where one foot is always either on the platform or on the ground, stepping up and down to the music rhythm. If you are rather a home person, you can buy a DVD and follow the lessons in front of your TV. Be careful and don't get injured. If you are not the kind of person who likes sweating, bear in mind exercise is not only about that. 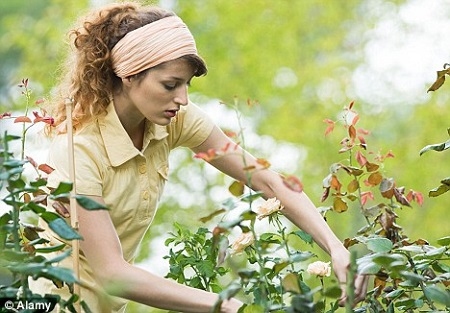 Yard working is one of the activities that burn fat at a high rate. In fact, planting and raking can burn up to 300 calories an hour. Surprised? Well, if mowing is your thing, using a manual mower can even get you to burn 400 calories in an hour. If you squat a lot, then this is particularly good for your legs. If you commit to making slow and deliberate movements, it will work on most of your muscles and improve your flexibility. There is an extra bonus--you can get a natural tan! If you have already had a long day really don't want to go out to exercise, don't worry. Take a hot bath and go to sleep. Actually, you burn more calories sleeping than watching TV. If you simply can’t miss your favorite shows, get a little workout in while watching. Try getting off the couch during commercials and doing simple, easy exercises like squats, sit-ups, jogging in place, or exercising with resistance bands or hand weights. Let's make the boring commercials fun.